Exhilarating fell walks; peaceful lakeside strolls; top-notch holiday accommodation – this is what’s in store when you visit Cumbria and the Lake District! Far from being ‘closed for business’ following Storm Desmond, Cumbria and the Lakes are welcoming visitors for Christmas, New Year and beyond. When Storm Desmond hit the headlines, the nation watched as unprecedented rainfall and strong winds battered the North West of Britain. If, like me, you are a frequent fell walker, you know the weather can be wet, windy, misty, snowy, sunny … sometimes all in one day! While this storm broke the records, it did not break spirit of the people in this beautiful part of the country. Reports vary as to how many millimetres fell from the skies during Storm Desmond (around 341mm), yet we should remember this part of the UK is a wonderful winter holiday destination, with cottages, guesthouses, B&Bs, hotels and glamping sites open for business. Visit Cumbria includes a listing for many types of holiday accommodation along with places go visit, a what’s on guide, travel updates and a food section. The landscape in Cumbria can be breathtaking. The Lake District National Park is a beautiful park, with breathtaking walks, gorgeous hilltop views and a wealth of natural history. The national park has an excellent website including ‘what’s on section’, free events listings, maps and weather updates to help you with your travel and holidays. For up-to-date weather for specific regions of the Lakes, visit Accuweather and put the name of the town you wish to visit for a bespoke forecast. So whether you follow the Wainwright walking books to the letter and tackle the craggy tops, or like being pampered in a spa hotel, there is something captivating about the whole region. Climbing and walking are on most people’s ‘to do’ lists, and Walk Lakes provides excellent information about walking and terrain conditions. However, after a day’s walking or relaxing, you want somewhere to lay your head and enjoy a good, restful sleep. A timber-built Wigwam® with heating, lighting, and comfy mattresses is just the ticket for a great holiday in the great outdoors, particularly among mountains and lakes. Wigwam® Holidays has several sites in the Cumbria region. Stay at any one of sites and you'll be close to Lakes like this. Waterfoot Wigwams® near Pooley Bridge can be found in the grounds of a Georgian mansion, which overlooks Ullswater. The site is ideal for families, friends and couples, with lots of activities from the site itself. 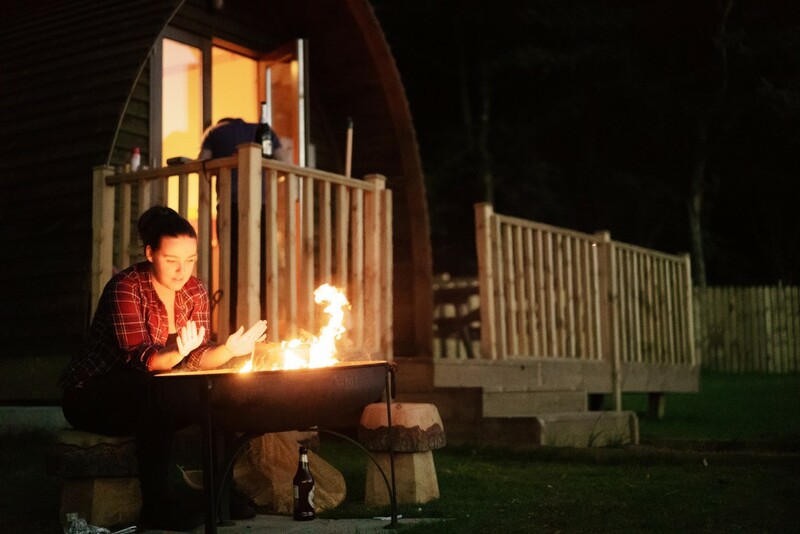 Brampton Wigwams® near the village of the same name is situated on a Trout Fishing Park and is great place for families, friends and couples to retreat to for a quiet holiday and if you fancy a bit of fishing. 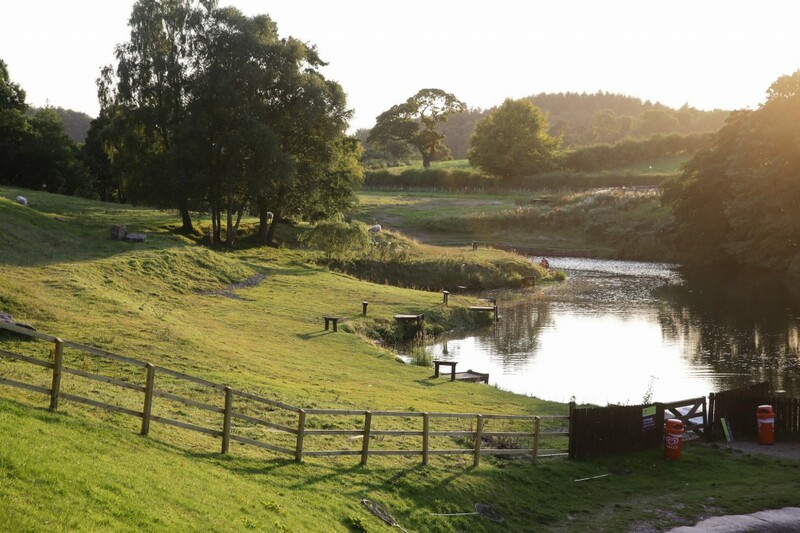 With brilliant facilities on site and you can even try fishing lessons from onsite staff. Roman Wall Wigwams® near Carlisle has facilities specifically catering for walkers and cyclists who are using the Hadrian's Wall Path or cycle route. It is a great stop enroute for anyone travelling along the wall. You'll have a comfy and warm nights sleep in a Wigwam® on a really friendly site. Wallsend Wigwams® are situated in the quiet village of Bowness on Solway, part of the Solway Coast Area of Outstanding Natural Beauty. The site is right at the start or end of the Hadrians Wall National Trail, so is a perfect place to spend the night at the start or end of your journey. Some sites close for winter but many remain open throughout the year. You can find out more by visiting the Cumbria and Lake District sections of the Wigwam® Holidays website. One thing you’re guaranteed in Cumbria and the Lake District is a warm welcome despite what the weather has in mind. And with excellent accommodation to match the timeless landscape, you can never visit this area too often. A word of advice, though, from someone who’s climbed a few of those Cumbrian hills. After a very scary episode at Pavey Ark in the lofty Langdales, always know when to turn back so you return safe and well to your Wigwam, hotel room or campsite. After all, one visit to the Lakes is never enough anyway!